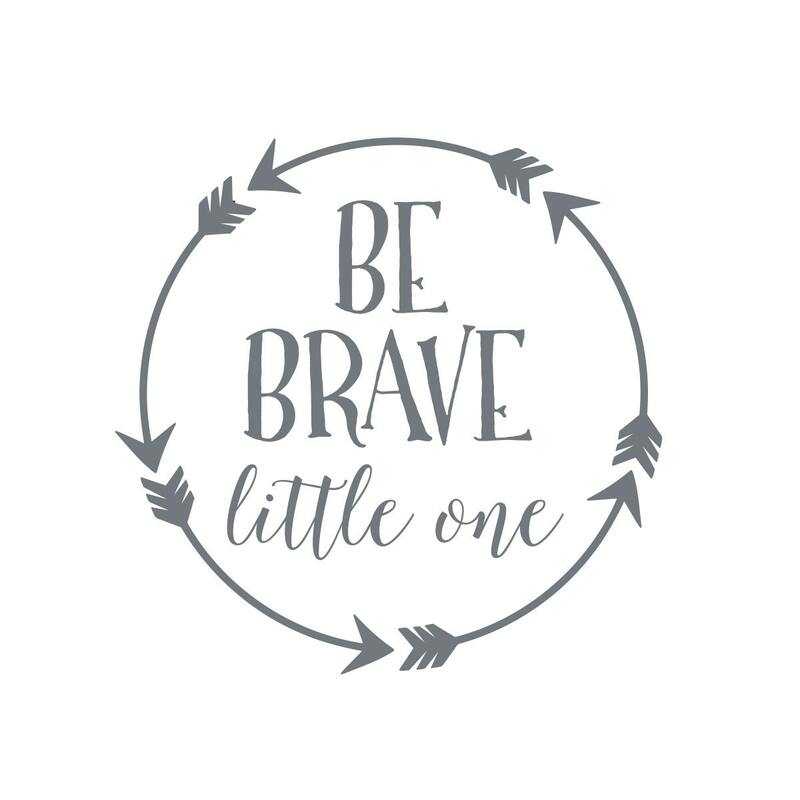 Be Brave little one is a super cute design framed with an arrow circular frame. 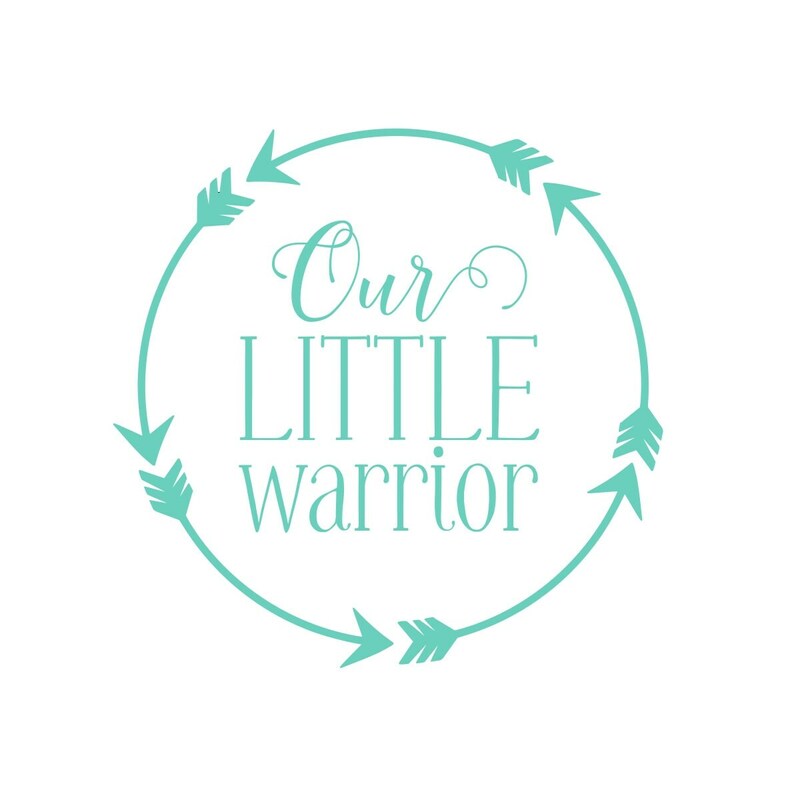 Our Little Warrior is an option that can be placed in the same arrow border. Vinyl decals are so delicate that they look like paint when applied to the wall. Quick & easy to apply. 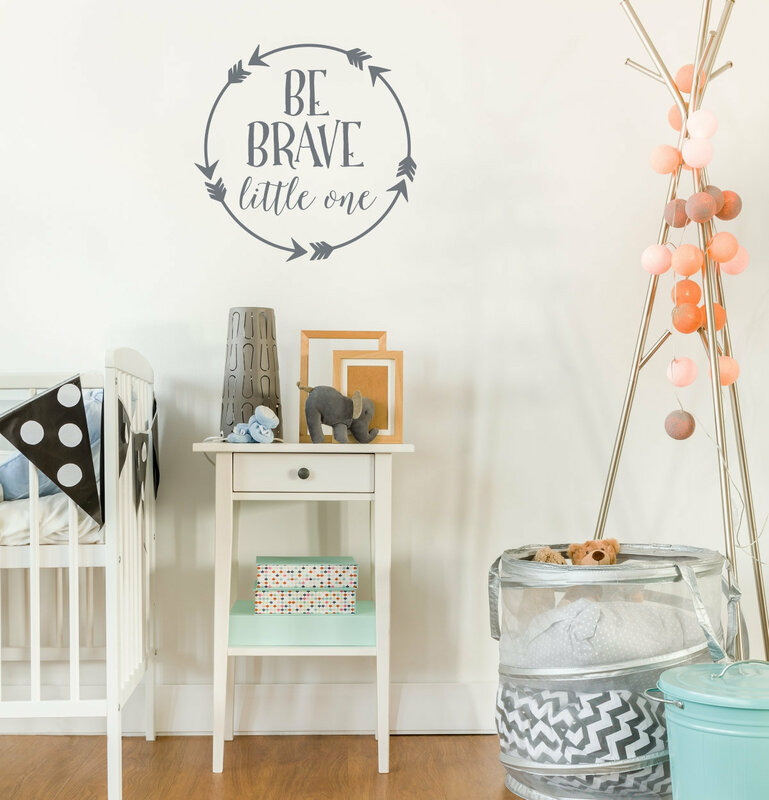 Wall decals are affordable designer style that sticks. 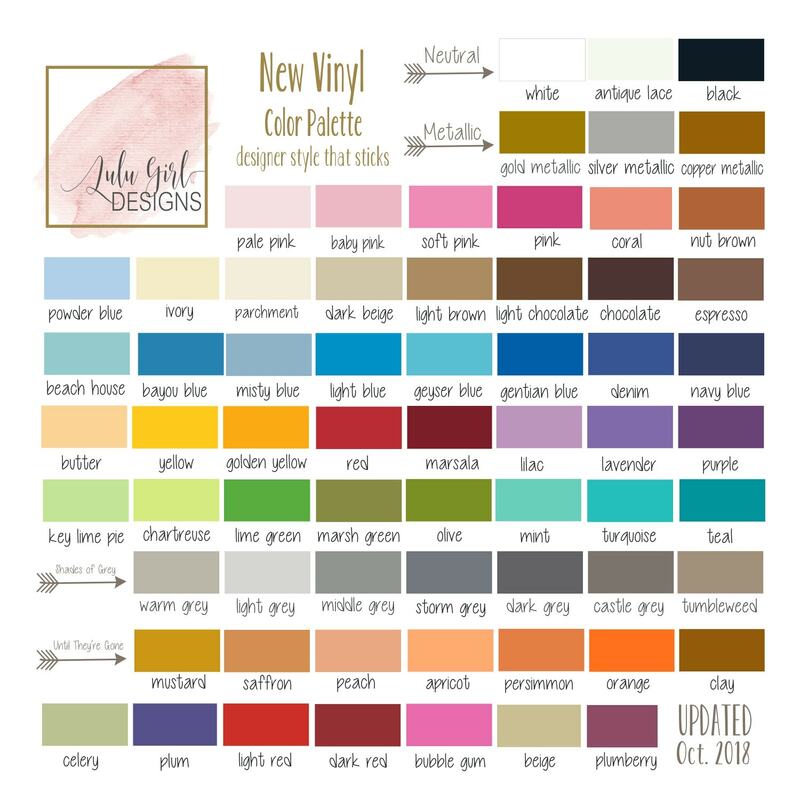 Background color in sample represents wall paint. 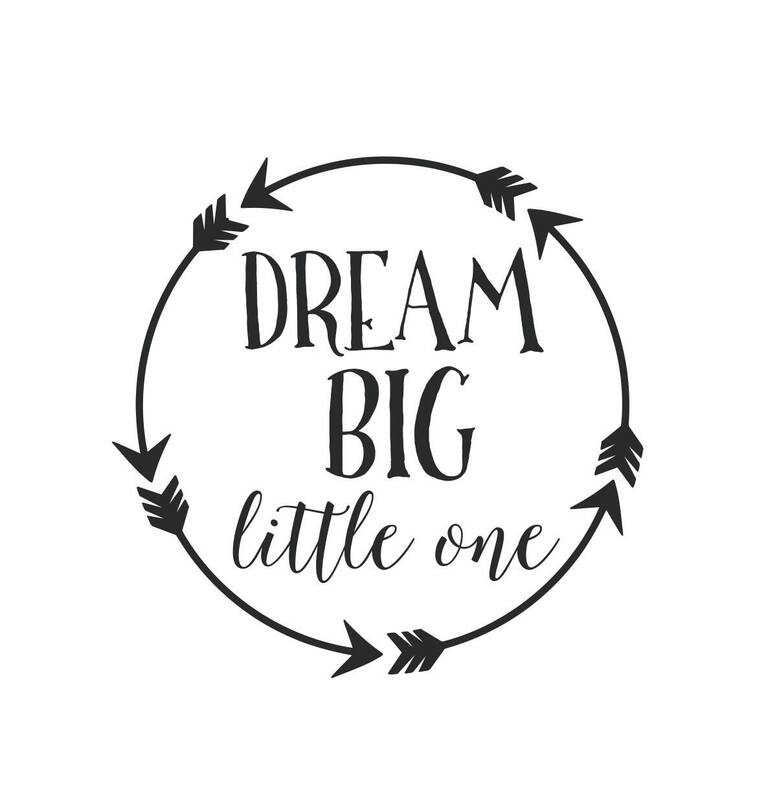 Design shown in storm grey, black and mint in the Our Little Warrior design version.